I am no expert in making BVHs fast so just use this blog post as a starting point. But there are some things you can try if you want to speed things up. All of them involve tradeoffs so test them rather than assume they are faster! Note that if ray direction were passed in you would have 6 divides rather than 6 adds. 2. Do an early out in your ray traversal. 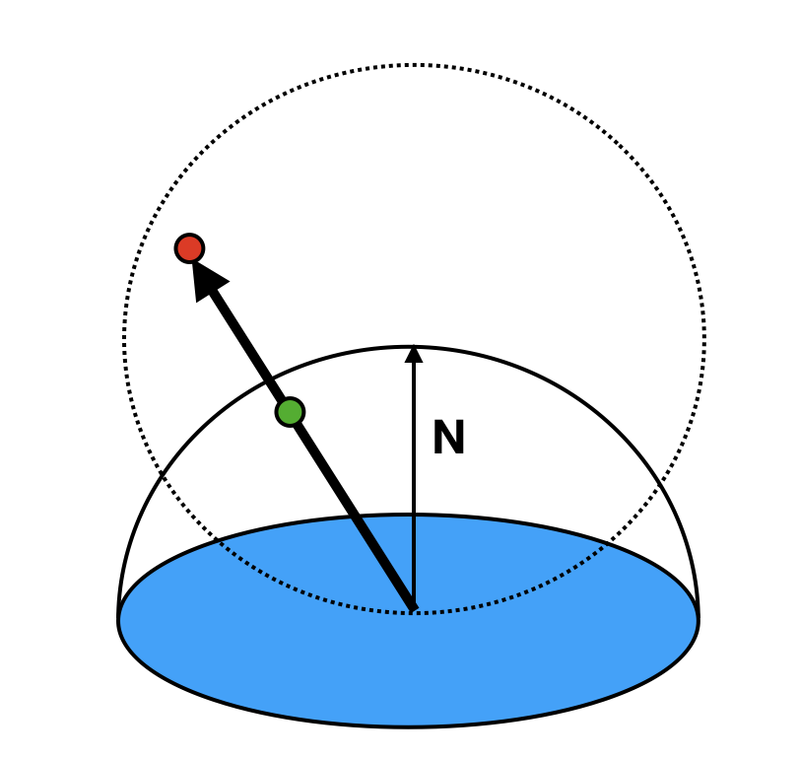 This is a trick used in many BVHs but not the one I have in the ray tracing minibook series. Martin Lambers suggested this version to me which is not only faster, it is cleaner code. 3. 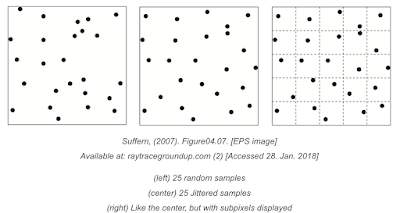 Build using the surface area heuristic (SAH). This is a greedy algorithm that minimizes the sum of the areas of the bounding boxes in the level being built. 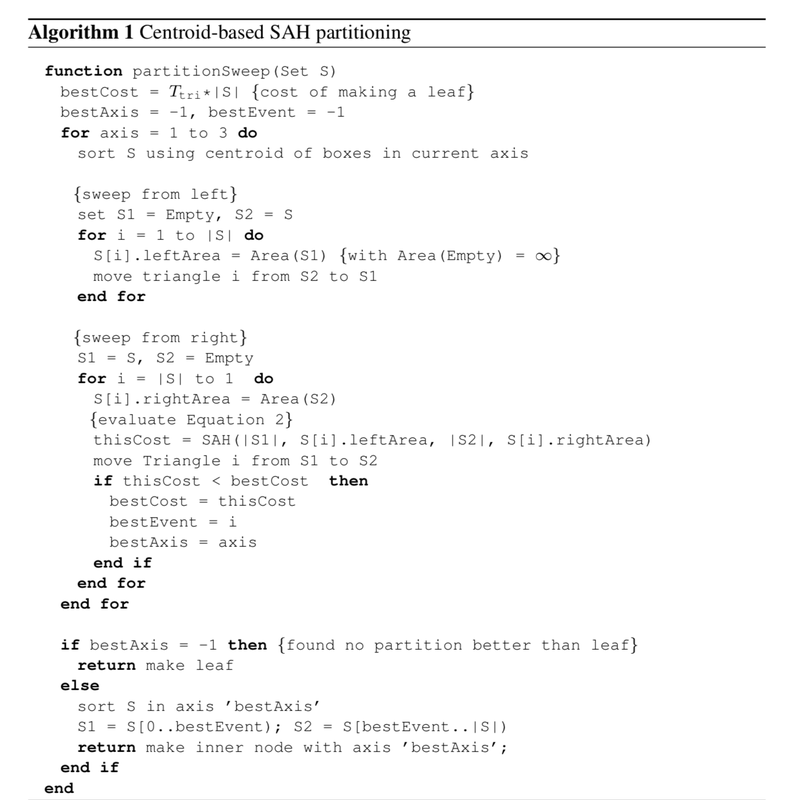 I based mine on the pseudocode in this old paper I did with Ingo Wald and Solomon Boulos. I used simple arrays for the sets and the quicksort from wikipedia for the sort. In a physically-based renderer, your RGB values are not confined to [0,1] and your need to deal with that somehow. // Reinhard tone mapper is to first map a value that we want to be "mid gray" to 0.2// And then we apply the L = 1/(1+L) formula that controls the values above 1.0 in a graceful manner. This post results from a bunch of conversations with Dave Hart and the twitter hive brain. There are several ways to generate a random Lambertian direction from a point with surface normal N. One way is inspired by a cool paper by Sbert and Sandez where he simultaniously generated many form factors by repeatedly selecting a uniformly random 3D line in the scene. This can be used to generate a direction with a cosine density, an idea first described, as far as I know, by Edd Biddulph. I am going to describe it here using three properties, each of which I don't have a concise proof for. Any help appreciated! (I have algebraic proofs-- they just aren't enlightening--- hoping for a clever geometric observation). 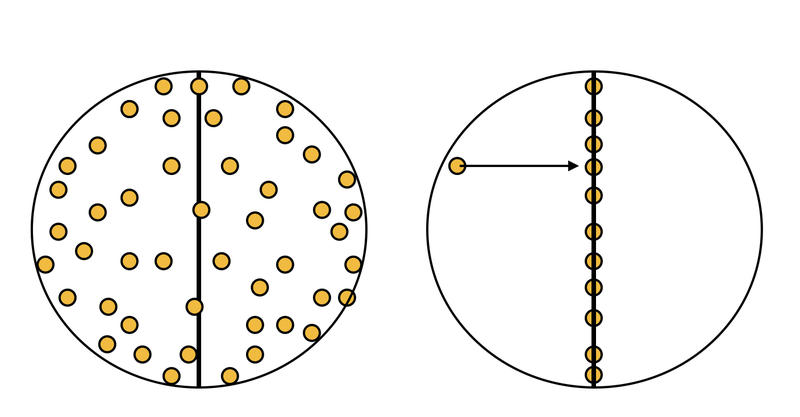 Property 1: Nusselt Analog: uniform random points on an equatorial disk projected onto the sphere have a cosine density. 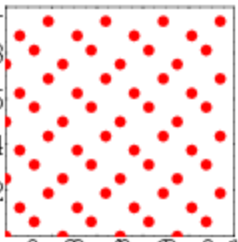 So in the figure, the red points, if all of them projected, have a cosine density. 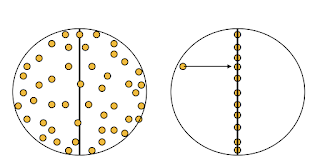 Property 3: For random points on a 3D sphere, as shown (badly) below, they when projected onto the central axis will be uniform on the central axis. There is finally a compact and robust way to write get_tangents. So use that, and your code is fast and good. 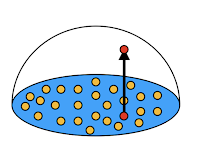 But can we do this show that using a uniform random sphere lets us do this without tangents? 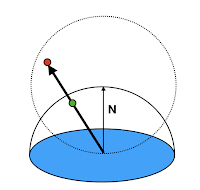 So is there a clever observation that the green dot is either 1) uniform along N, or 2, uniform on the disk when projected? Suppose you have a physically based renderer with area lights. Along comes a model with point and directional lights. Perhaps the easiest way to deal with them is convert them to a very small spherical light source. But how do you do that in a way that gets the color right? 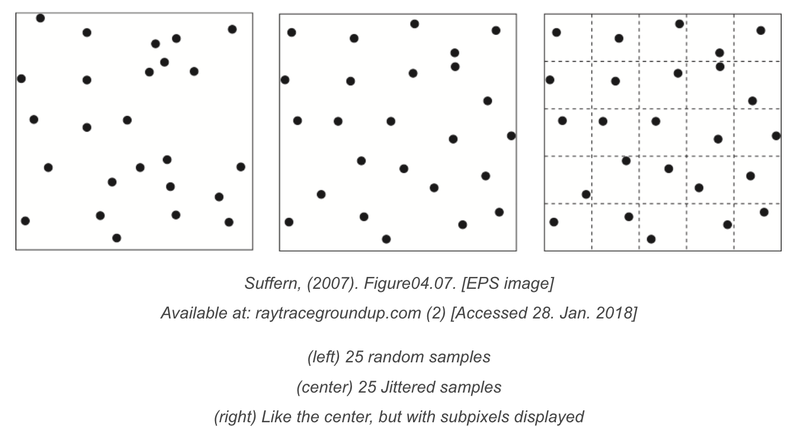 IF you have things set up so they tend to be tone mapped (a potential big no in physically-based renderer), meaning that a color of (1,1,1) will be white, and (0.2,0.2,0.2) a mid-grey (gamma-- so not 0.5-- the eye does not see intensities linearly), then it is not so bad. 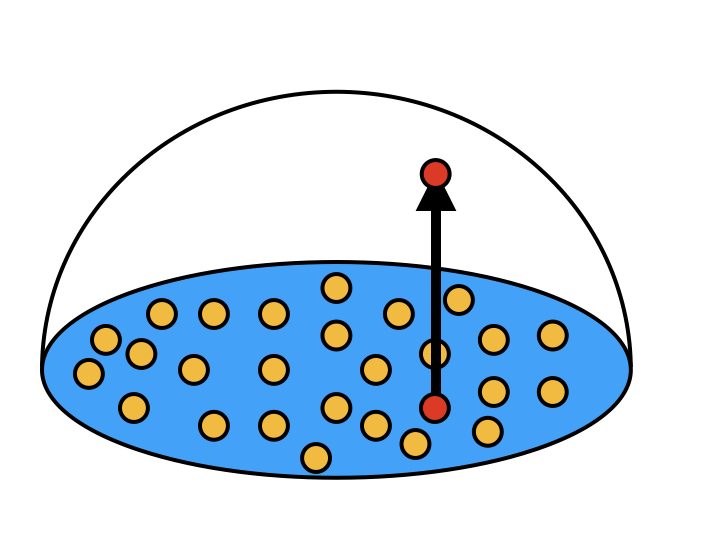 Suppose the RGB "color" given for the point source is (cr, cg, cb). Then just multiply the (E,E,E) by those components. Pick a small radius. Again one that wont break your renderer. Then use the green equation above.